Anonymous on PSN Outage: "For Once We Didn't Do It"
Online "hacktivist" group Anonymous has denied any coordinated involvement in the collapse of the PlayStation Network. Yesterday - or slightly before yesterday, to be precise - Sony's PlayStation Network went belly-up, with gamers around the world unable to play games like Portal 2, SOCOM 4 or Mortal Kombat online using their PS3s. The outage is predicted to continue for a day or more, and Sony EU PSN manager James Gallagher suggested that an attack by outsiders - such as the shadowy loose internet coalition Anonymous. While this wouldn't be the first time Anonymous had gone after Sony for its involvement in the trials of George "GeoHot" Hotz and other PS3 jailbreakers, this time it says Sony is pointing the fingers in the wrong direction. "While it could be the case that other Anons are acting by themselves," reads a statement on the Anonymous news site, "AnonOps was not related to this incident and does not take responsibility for whatever has happened." An alternate possibility, suggests the statement, is that Sony is using Anonymous' previous attacks as a scapegoat "to distract users from the fact that the outage is actually an internal problem with the company's servers." However, this would seem to contradict a post on the Anonymous Facebook page, which reads: "Take a break from online gaming for a while ... it will help your skills, your health, and your emotional levels, which by the way are a bit out of order if they are being shackled by the PSN being down. We have no qualms about our actions, even though it may affect fellow anonymous or supporters ... we hope they understand the bigger picture." Of course, another explanation is that both statements could be correct. 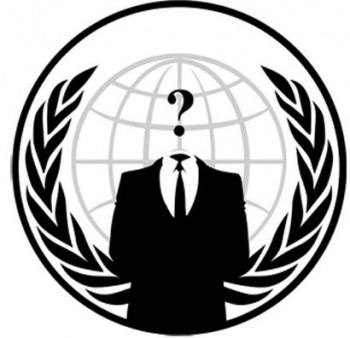 The problem with (and some would argue, greatest strength of) Anonymous is that it is not a singular entity, but a loosely affiliated group of hundreds and thousands of others all behind a veil of anonymity. While the coordinated AnonOps branch may have nothing to do with this, other Anons may have decided to act on their own - though one would think it would have to be a powerful attack indeed to cripple PSN this badly. Or it could just be that the hamsters powering the Sony servers all died. There's that, too.